From the Washington State fairgrounds to the hub of global health, at least five guys hail from the town of Puyallup—Andrew Farnum (Bill & Melinda Gates Foundation), Curt Malloy (Cancer Research and Biostatistics and former WGHA board chair), Martin Edlund (Malaria No More), Steve Reynolds (World Vision), and Ted Schneider (Camber Collective). Who did we miss? Send us your Field Notes tips. Speaking of Puyallup, get your Fisher Fair Scone at the Spring Fair April 19–22 (an unlikely fair staple). No, not the 90s boy band. We’re talking about recent hires in your organization. WGHA invites members to our April 4 Launch event, an orientation to Washington’s global health community. Hear from a senior leader, network with peers, and take a quick tour of the Bill & Melinda Gates Foundation Discovery Center. Questions? Contact Tina Vlasaty. International Women’s Day is more than one day. Join the University of Washington Department of Global Health and the University of Oregon Students on April 20 for Change-Makers: The Essential Role of Women in Global Health. Add your voice to the conversation by registering here for the 14th annual Western Regional Global Health Conference. Congrats to two WGHA members, PwC and Tableau, for earning premium spots on LinkedIn’s Top Companies 2018. Many know them for their great benefits, valuable work, and flexible opportunities. But it’s their commitment to global health (thinkPwC’s work on the SDGs or Tableau’s Visualize No Malaria Partnership with PATH) that makes their 9-to-5 stand out to us. When it comes to transporting blood, faster deliveries mean more lives saved. Bloodworks Northwest finally got their ticket to ride in the fast lane when the Washington legislature approved a one-year trial. While you focus on the driving, Adele has your carpool karaoke covered. Look out, obstetric fistula. Since it was started 12 years ago in a Seattle kitchen by two women, One by One has built a holistic, locally-led program in Kenya. Now, One by One and Worldwide Fistula Fund are double-teaming to address this debilitating post-childbirth condition. The two forces, under the Worldwide Fistula Fund banner, will restore women’s lives in Kenya, Burkina Faso, Ethiopia, Niger, and Uganda. Bad roommates are common—they fill the sink with dirty dishes, leave socks on the floor, blast music, and forget to take out the trash. But WGHA won the roommate lottery with Minerva Strategies this month. They bring artisanal coffee, a new furry officemate, and—of course— great conversation and a passion for helping global health groups tell their story. Welcome, Minerva! What does your last mile look like? many businesses building supply networks. But in global health, what happens at the last mile is more than metrics. It’s making sure patients and communities have the right vaccines, medicines, and medical devices when they need them—and every minute counts. The thought leaders at PwC have identified best practices to improve the last mile supply chain game. Click here to learn about the metrics and benchmarks that can make the difference. 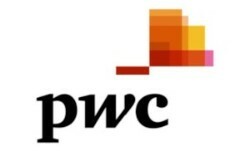 For more information on PwC services, please contact Karen Gottschalk. Tuberculosis, found in Egyptian mummies and cursed by ancient Greeks, is the world’s leading cause of infectious death. Fortunately, the Infectious Disease Research Institute (IDRI), the South African Tuberculosis Vaccine Initiative at the University of Cape Town, and Aeras announced successful results from an initial TB vaccine clinical trial. This development comes just in time for World Tuberculosis Day on Saturday, March 24 when you can help light up your town with Stop TB. What kind of science fair is this? Don’t worry, this one is way cooler. Join the Madigan Army Medical Center for its Annual Colonel Pat C. Kelly Research Day on May 4. This annual event allows Madigan to show the rest of us what’s been happening in Army-funded medical research. Meet fellow researchers, learn more about their expertise, and explore opportunities to advance your research. Email your RSVP by April 20, 2018. Jill Hennessy, minister for Health and Ambulance Services in Victoria, Australia, was in Seattle for a conversation on ending malaria and a preview of the first World Congress on Malaria in Melbourne (proving that we’re learning more about Australia than how to eat Vegemite from Hugh Jackman). Hat tip to our sister organization Global Health Alliance Melbourne for the collaboration. Among recent promising malaria developments, Fred Hutch and the NIH discovered a human antibody that prevents malaria in mice. If it proves effective in humans, it could be a game changer for new ways to prevent malaria. Congress passed the package of spending bills that will fund the federal government for fiscal year 2018 (through September 30). The good news is that global health, development, and security accounts were maintained at or near current funding levels, a pointed rebuttal to the president’s request of a 30 percent cut. But we should note the slow erosion of support for these accounts, about 6 percent in this week’s legislation, which pays for almost 70 percent of Washington’s global health activities. Building trust in society and solving important problems.